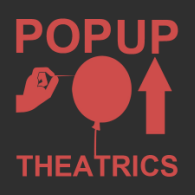 PopUP Theatrics is a partnership between artists Ana Margineanu, Tamilla Woodard, and Peca Stefan to create immersive / site specific/ site impacting theatrical events in dynamic collaborations with artists world wide. Our newest concept is an immersive theater piece exploring the mechanism of a lie and how pervasive false information, untruths and deception are in our contemporary lives. If you are in Bucharest, catch us at Green Hours were we are creating the pilot of LIAR. a party game for 24 people you don't know...yet. Come, taste wine, tell lies at this exclusive event sponsored by Mysterium Jidvei.